L-R: Andy DeGraw with DIRECTV by EnterSource and Lazarius Patterson of Oakland. 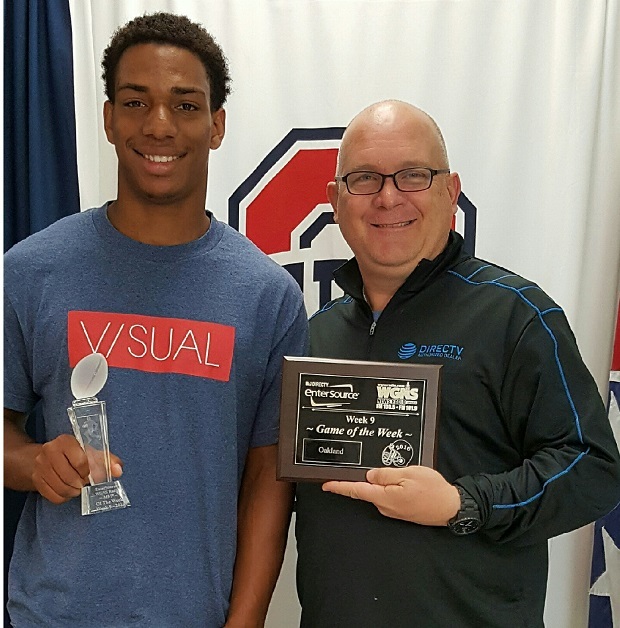 The DIRECTV by EnterSource / NewsRadio WGNS MVP of Week 9 is Oakland's Lazarius Patterson. He had 83-yards on 16-carries and two touchdowns in the Patriot's 35-7 victory over Riverdale.